"Dr. Davis is an outstanding surgeon." "Dr. Davis did my gallbladder removal." "Doctors and staff are very caring." "Dr. Gabriel was easy to speak to about my surgery. Highly recommend!" "Thank you Dr. Gabriel for all your help. You are so nice and patient." General Surgery Associates has been providing outstanding care to patients in Clark County, Nevada, since 1980. With two locations in Las Vegas, every visit is convenient and comfortable. The team of surgeons provides both renowned surgical expertise and a compassionate, caring approach to every diagnosis and treatment. They understand that health problems can be stressful and view providing peace of mind as an essential component of each patient’s medical care. 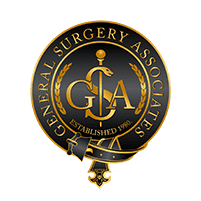 Each surgeon at General Surgery Associates specializes in specific surgeries and techniques, giving them an uncommon depth of insight into the conditions they treat. This means that every surgeon is up to date on the most recent developments for treating each patient’s particular condition and can draw on years of experience treating others with similar problems. All of the surgeons at General Surgery Associates complete rigorous continuing education courses on a regular basis — some of them also teach courses — and several of the surgeons have presented research at medical conferences and been published in prestigious medical journals. At General Surgery Associates we want to make sure all patients feel cared for. If you do not see your insurance on this list, or have any questions about your insurance coverage, please give the office a call. We look forward to taking care of you. "My one and only visit was great! Short wait time in the waiting room. Short wait time in the exam room and a friendly and informative surgeon." "He's so kind, so thorough, so knowledgeable - a breath of fresh air for those of us searching for help. Thank you sir, thank you very much." "Great care, staff and follow up. Nurses and surgery center were extremely professional and caring. They certainly made a uncomfortable situation comfortable." "Dr. Gabriel is very direct about your needs. He made me feel comfortable having surgery even though no one ever wants to have it!" "Dr. Gabriel told me that he would recommend a simple mastectomy on my first visit! I found Dr. Gabriel to be patient and kind at all times. "